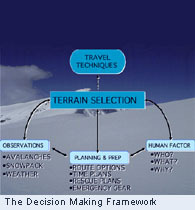 Course handout material and the use of avalanche transceiver, probe and shovel. This is the best way to update your previous Level 1 avalanche course. We will present annual information updates including new technology and techniques along with new resources for information to keep you current. The field travel portion of the course presents realistic decision making excercises along with a valuable rescue practice drill including full-scene management with transciever, probe and shovel. We all need to practice! The Level 1 REFRESH begins indoors with a review of basics. Then, an afternoon of travel in the field applying skills. Similar to the last day of a Level 1 course. Previous AIARE Level 1 Course. Ability to travel in avalanche terrain. Review Avalanche Level 1 Student Manual. The download will be provided after course registration.